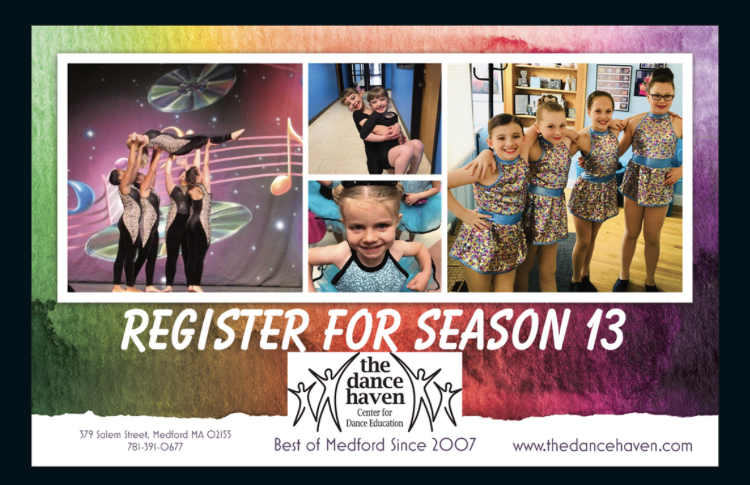 CELEBRATING OUT 13TH SEASON OF DANCE AS MEDFORD'S #1 DANCE SCHOOL! NOW ACCEPTING REGISTRATIONS FOR OUR SUMMER DANCE PROGRAMS AGES 2.5-18 YEARS OLD. CLICK THE LINKS BELOW TO VIEW OUR SCHEDULE AND REGISTRATION FORMS, ALL REGISTRATIONS DUE MAY 15TH. PLEASE VISIT OUR FITNESS PAGE FOR OUR ADULT CLASSES. © The Dance Haven, Inc. All rights reserved.